Adorable card! 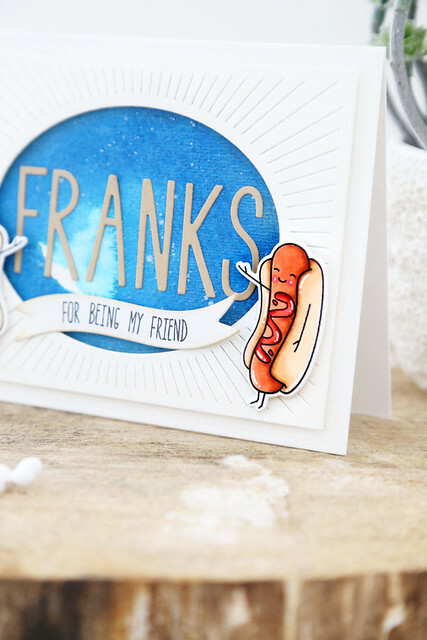 Love the big die cut sentiment and your coloring of those fun hotdogs! This looks amazing and your card design is pretty awesome. WOW, such fun and beautiful card. I am really impressed with your talent! Love that blue in the background. Totally charming! I love the way the lines on the paper remind me of a paper plate. It's a total weiner! 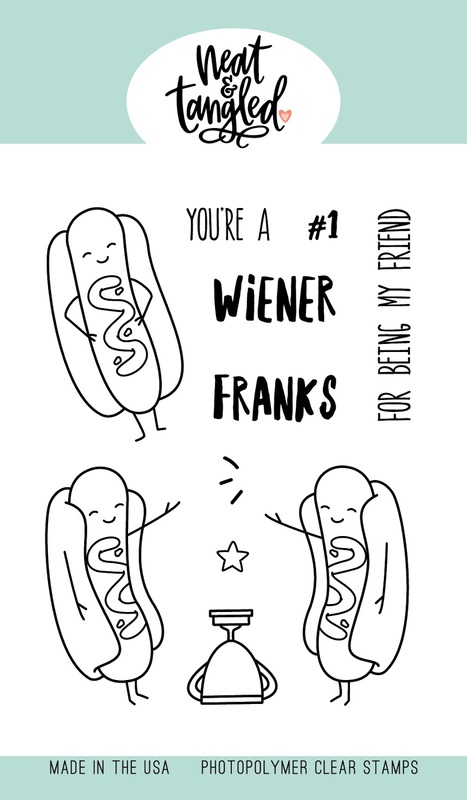 I LOVE how you colored the hot dogs! And what a great sentiment and background! Cute, and love the contrast of the blue background. 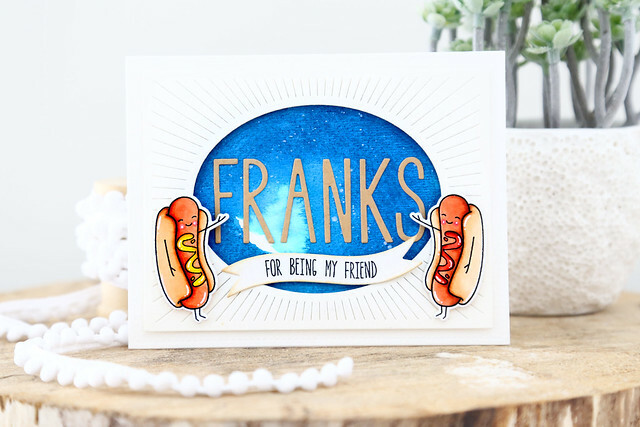 Cute design with the mirrored hot dogs. I like your coloring too. This is such a fun set !! Super cute card! 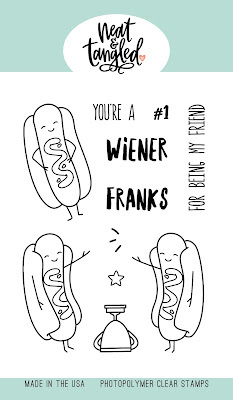 Love those franks!